The Attorney General’s Office and the City carefully reviewed the nearly 1,700 comments received, and negotiated changes to the consent decree based on the comments. The Attorney General’s Office and the City filed the revised consent decree in federal court on September 13, 2018. The federal judge overseeing the case accepted written comments on the draft consent decree until October 12, 2018, and held public hearings on October 24 and 25, 2018.The judge approved the consent decree on January 31, 2019. If you have feedback or questions regarding the implementation of the consent decree, you may email policereform@atg.state.il.us or call 833.243.1498. Your feedback or questions may be shared with the independent monitor, the City, and/or CPD. 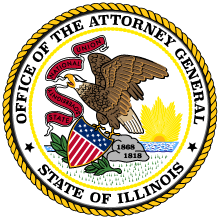 If the Attorney General’s Office receives a request for copies of records that include your feedback, it may be required to provide a copy of your feedback to the requestor pursuant to the Freedom of Information Act. However, information that would reveal your identity (name, home address, personal telephone number and personal email address) will not be disclosed.